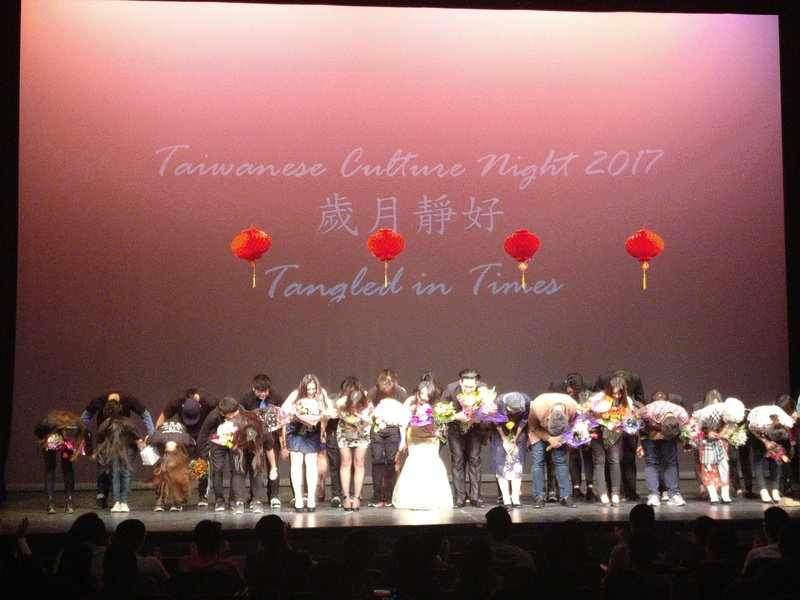 The 2017 Taiwanese Culture Night (TCN), “歲月靜好,” or its English title “Tangled in Times,” took place at the UCLA’s Ralph Freud Playhouse last Saturday. A moving performance about two pairs of lovers struggling to embrace love, this year’s TCN not only showcased Taiwanese history, culture, and food, but also intended to send a universal message to audiences of different backgrounds: to follow your heart and be brave in love. Another student, Young Joon Dakota Im, a third-year cognitive science student, said that he was looking forward to the musical performances of Taukappella. 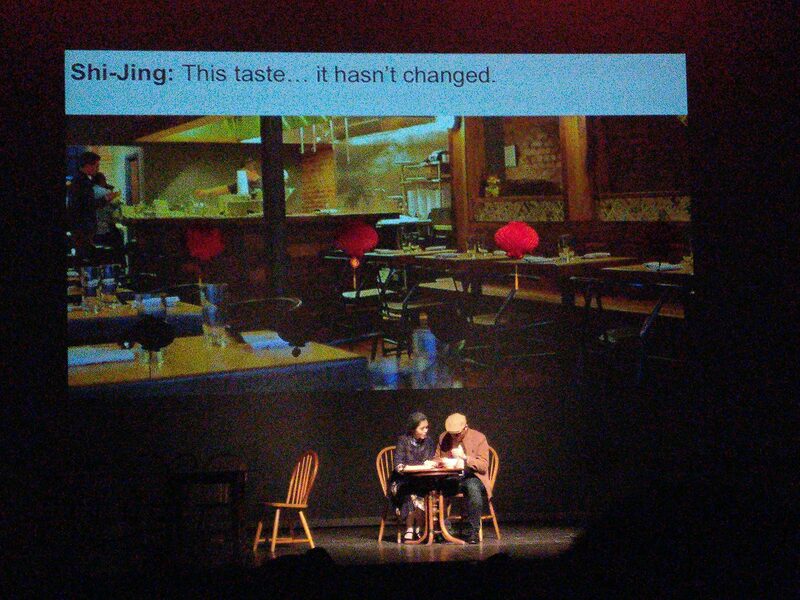 TCN’s performance began by introducing a couple, Shi Jing Deng (Charles Teng) and Ling Shang Yang (Sandy Yang), who are young adults in the beginning of World War II. After the war, the couple appears in Taiwan and, while they are in love and engaged, Mr. Deng, who suffered a debilitating injury in his leg, decides to leave Ling Shang because he did not wish to become a burden. Fast forward to modern times, the audience is introduced to Zhe Xiang (Stanley Hsu), an interior decoration designer who has had a crush on and later confesses to Pin Ru (Marian Sheen), a doctor who graduated from a prestigious medical school as valedictorian. However, Pin Ru is later diagnosed with stage III cancer and she cannot accept Zhe Xiang’s feelings because she feels that it would be unfair for him to be in a relationship with a girl who may not have a future. Mr. Deng, who is actually one of Pin Ru’s patients, visits and tells her his story about leaving Ling Shang — how he regretted it and is trying to find her. Upon hearing this, Pin Ru decides to be more positive and face her mutual feelings for Zhe Xiang, who she then begins dating. Later, Zhe Xiang finds out that Mr. Deng is the man who his adoptive grandma, Ling Shang, had been waiting for. Ling Shang even named her restaurant after Mr. Deng, hoping that if he ever passed by the shop, he would notice and have a change of heart. Unfortunately, Pin Ru passed away, but she told Zhe Xiang that she was content and left him her savings so that Zhe Xiang, who had quit his job by then, could help his grandma remodel and bring new life to the restaurant. At the finale, the restaurant gets remodeled as well as renamed in memory of Pin Ru. Zhe Xiang also re-introduces Mr. Deng to Ling Shang, who at last meet again. Ling Shang and Mr. Deng reunited. 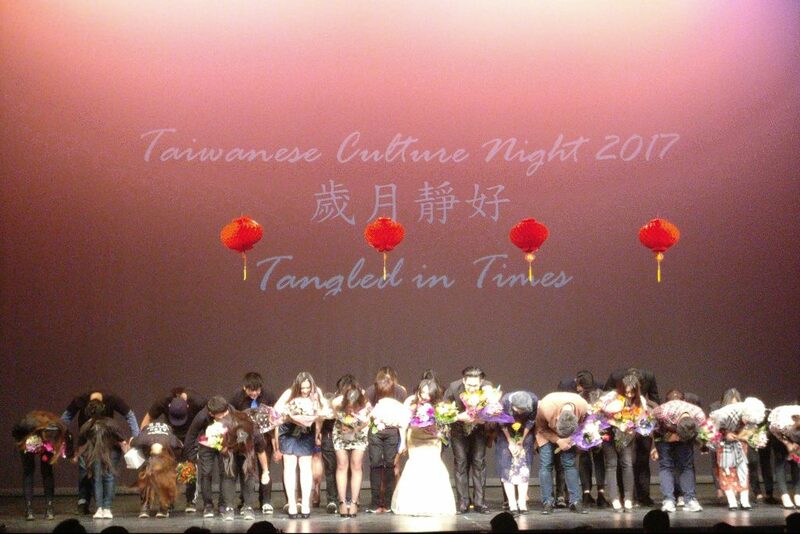 TCN’s wonderful performance concluded with the audience’s loud applause, laughter, and tears. The opening scene is set in 1945, Tian Jin, and the newspaper boy mentioned a Japanese attack in 卢沟桥 (Lu Gou Qiao). However, Lu Gou Qiao is known as the site for the office beginning of the Japanese invasion of China in July 7, 1937. In addition, the year 1945 is when the Japanese officially surrendered. Therefore, I was wondering which historical event(s) the opening scene is actually alluding to and why was this setting chosen in particular? We made a mistake in our first slide with the timeline. The opening scene was set in 1937 instead of 1945, as you pointed out. We chose Lu Gou Qiao Incident because it opened the prelude of WWII in Asia, and it conveyed critical information as we tried to portray the time in which our grandparents lived in. The title of this year’s Taiwanese Culture Night in Chinese, “歲月靜好,” has a different meaning and connotation than the English title “Tangled in Times.” Why? Is there a reason for this difference? “歲月靜好” comes from the words written by 胡蘭成 (Lanchen Hu) for his wedding with writer 張愛玲 (Eileen Chang) in 1944: “胡蘭成張愛玲簽訂終身，結為夫婦，願使歲月靜好，現世安穩.” The term “歲月靜好” means the hope of a peaceful life in the future, which has both a personal and political implication during the war in 1944. We believe that the stories of people and places are the result of tangled web of interaction between people, places, and time. The English title of the play, “Tangled in Times,” was chosen based on the storyline as we followed the stories of two pairs of star-crossed lovers across generations as they thrived to find happiness. What is the central message or theme that you hoped address in the Taiwanese community through the performance? The message that we’re trying to get across applies not only to the Taiwanese community, but also every other ethnic group: to have the confidence to be who you truly are, to have the courage to truly love and be loved, and to cherish your loved ones around you. What were some of your favorite moments when making the production? There were so many fond memories of making this year’s production… seeing the story came to life with dedicated actors and actresses, and bonding with a very talented team that is just like a family. Live theater gives us a chance to really appreciate what is happening right there in front of us. I love how audience came together to laugh and perhaps tear up as the live performance brought everyone within the story.